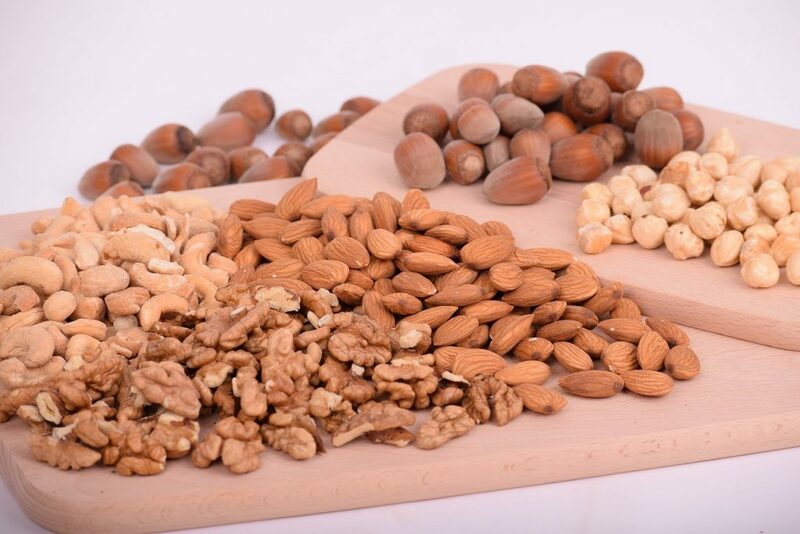 It is well-known that nuts are not only among the best sources of plant-based proteins, but are also a good source of fiber, healthy fats, and an array of important nutrients. According to scientific research, a diet rich in nuts can help protect against a variety of chronic diseases including cardiovascular disease and inflammatory diseases. The question is which are the healthiest nuts to eat, and what specific ingredients do those nuts contain? According to the USDA, each 100 grams (g) of almonds contains 21.15g of protein and nearly 50g of fat, most of which is monounsaturated — the good kind. Almonds are also rich in the minerals calcium (269 mg per 100g), iron (3.71 mg), magnesium (270 mg), phosphorus (481 mg), potassium (733 mg), and vitamin E (25.63 mg). According to the USDA, each 100g of pistachios contains 20.16g of protein and 45.32g of fat, primarily monounsaturated fatty acids as well as polyunsaturated fatty oils, which are known to offer a variety of health benefits. Pistachios are also rich in the minerals calcium (105 mg per 100 g), iron (3.92 mg), magnesium (121 mg), potassium (1025 mg), and phosphorus (490 mg). Furthermore, a study published in Nutrition Today noted that pistachios have a beneficial effect on the function of endothelial cells, the cells that form the inner lining of blood and lymphatic vessels. They also have a beneficial effect on blood pressure, which in turn can lead to a reduced risk of cardiovascular disease. According to the USDA, each 100g of walnuts contains 15.23g of protein and more than 65g of fat, predominantly polyunsaturated fatty oils. Walnuts are rich in the minerals calcium (98 mg per 100 g), iron (2.91 mg), magnesium (158 mg), phosphorus (346 mg), and potassium (441 mg). According to the USDA, each 100g of cashews contains 18.22g of protein and nearly 45g of fat, most of which is monounsaturated fat. Cashews are rich in the minerals calcium (373 mg), iron (6.68 mg), magnesium (282 mg), phosphorus (593 mg), and potassium (593 mg). According to the USDA, each 100g of hazelnuts contains 14.95g of protein and more than 60g of fat, predominantly monounsaturated fats. Hazelnuts are rich in the minerals calcium (114 mg), iron (4.7 mg), magnesium (163 mg), phosphorus (290 mg), and potassium (680 mg). Furthermore, according to a study published in the Journal of Clinical Lipidology, hazelnuts can help reduce low-density lipoprotein, also known as LDL cholesterol, the type of cholesterol that leads to cardiovascular disease. The important message for us is simple (and delicious): adding any of these five nuts to our meals or snacks can improve our nutrition. It is important to note that too many nuts can lead to weight gain, due to their high fat content, and therefore should be consumed in moderation. Nevertheless, it is nice to know that simply eating a moderate amount of something as delicious as almonds or pistachios can lead to an improvement in our overall health. At Hamilton Grove Healthcare and Rehabilitation Center, in Hamilton, NJ, our care programs are designed specifically to meet the unique needs and interests of seniors and long-term care patients. We emphasize restorative care, maximizing each patient’s potential to regain and maintain function and mobility. Part of our success is due to the care we take with our residents’ nutrition. Our world-class culinary team offers a tempting variety of meal selections that are produced under the supervision of a registered dietitian. The result: well-balanced, health-conscious meals that are sure to please even the most discerning palate. And, of course, special dietary needs are gladly accommodated.